At the Littlest Pet Bakery, our mission is to make sure your pet is included in culinary traditions by creating unique desserts that are guilt-free… and free from everything else! It is also our mission to make sure that there is no pet left behind by choosing ingredients that are inclusive of all sensitivities. Our desserts are always grain, corn, soy, poultry, pork, beef, egg, dairy & additive free! Made by hand with organic ingredients, the only things added to our premium desserts are a pinch of creativity & a sprinkle of fun! High in protein & fiber, chickpeas are a filling superfood that stabilizes blood sugar. An excellent source of healthy fats, this brain booster can also help improve learning skills. This powerful protein strengthens your pet from their cartilage & muscles to their skin, nails & coat. Packed with vitamins and minerals, this simple sugar also aids in digestion & makes our desserts a fun treat. Our flavours come from fruits, vegetables, nuts, herbs & spices. 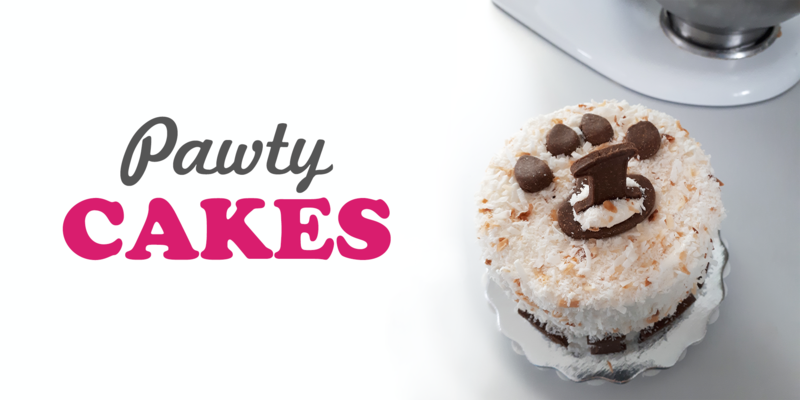 Our fluffy frosting is made without any processed sugars or heavy oils and topped with our signature coconut sprinkles! If you live in the Halifax area, let us cater your dog’s birthday pawty with a cake & pupcakes! Include your pup in the tradition of Easter and support your local SPCA!